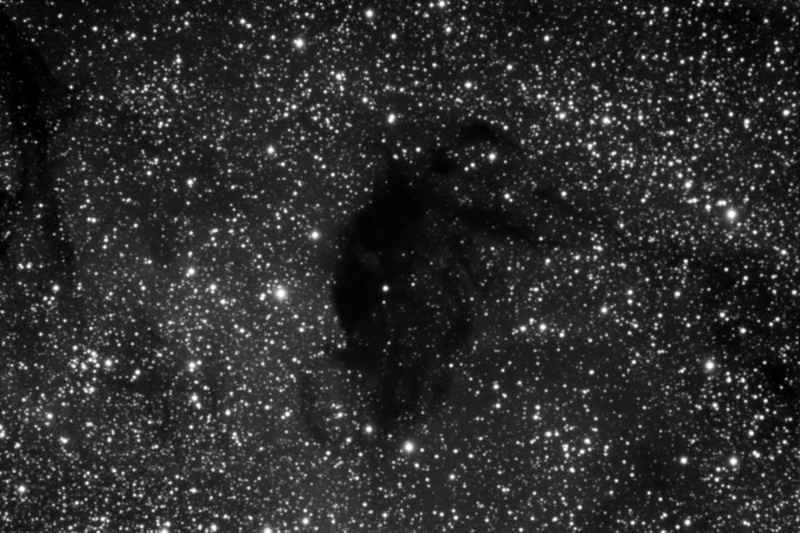 The dark nebula B92 near M24 in Sagittarius. 90 minute red-filtered exposure. One of the first dark nebulae known, discovered in 1913 by E.E. Barnard.